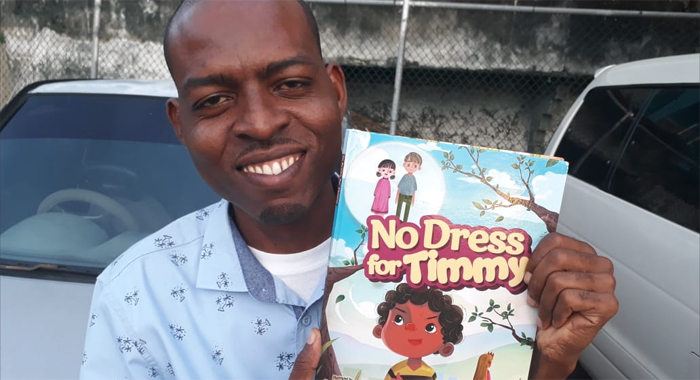 No Dress for Timmy Back on Amazon After Being Censored at the Behest of LGBT "Activists"
“NO DRESS FOR TIMMY” a book by Vincentian author Shefflorn Ballantyne, which was banned from online retailer Amazon in July, is now back on sale at Amazon. The children’s book was banned from the Amazon platform within hours after an announcement for its online launch. The decision by Amazon was driven by Fascist LGBT advocates. After the ban, the gaystapo advocacy group Family Rhetoric claimed victory for having it banned. Family rhetoric is run by a confused woman named Amber Leventry and a quick view of her facebook shows she’s an lgbt propagandist who says that males can have periods and advocates for the sexualization of children. She also believes that lgbt rights Trump the rights of Christians who disagree with her perverse lifestyle. 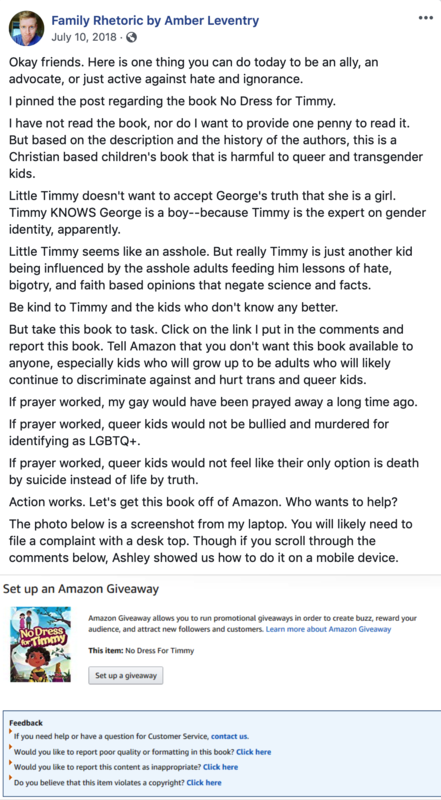 Amber Leventry claims that she only wants equal rights and people should be tolerant, but she petitioned Amazon to have a children’s book removed because she didn’t like it’s message. This is fascism folks! Fascism by definition is a political philosophy, movement, or regime (such as that of the Fascisti) that exalts nation and often race above the individual and that stands for a centralized autocratic government headed by a dictatorial leader, severe economic and social regimentation, and forcible suppression of opposition. Groups like Family Rhetoric and most lgbt “allies” are fascists themselves. Any opposition to their way of life is met with extreme opposition and threats of violence. Censoring dissenting opinions and denigrating Christians by calling them names like bigot, and hateful is reminiscent of what the Nazi’s did to the Jews in Nazi Germany. 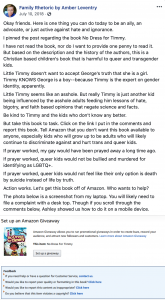 Amazon pulled the book no Dress for Timmy at the behest of lgbt activists because the activists did not like the message opposing their agenda, which is the recruitment and sexualization of children. No dress for Timmy is “an exciting story of a little boy who found himself in a perplexing situation where he was forced to choose between speaking the truth and cheering on a friend who thinks of himself as a girl.” Said Ballantyne. The author also says that the book is a “must have” and encourages parents to get a copy. “Your child will learn that speaking the truth is kindness and the friendliest thing to do even if he or she is persecuted for it. This is a real measure of strength for boys and girls when they are not in your immediate presence. 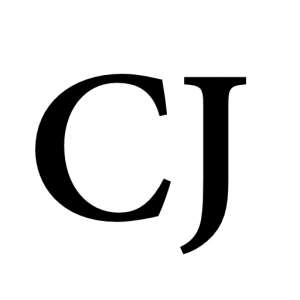 Every child should get one,” Ballantyne says. The book is in no way hateful, it simply gives a different view, a biological view, and a biblical view of how God created man and woman. Ballytine informed me today that Amazon has decided to accept the book and begin selling it again. We as Christians can make a difference, we need to push back against these fascists before we find ourselves in the same situation the Jews in Nazi Germany were in. A lot of Christians don’t speak up for fear of being labeled by these propagandists. 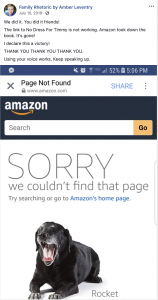 If Amazon can censor a book because the lgbt doesn’t like it, how soon will it be before they censor the bible? You can not sit on the fence any longer! We as the church, need to act, we need to pray, and we need to act. Martin Niemoller famously said, “First they came for the socialists, and I did not speak out—because I was not a socialist. Next articleWhy Are We Trying to Gain the (Moral) Approval of the Left? 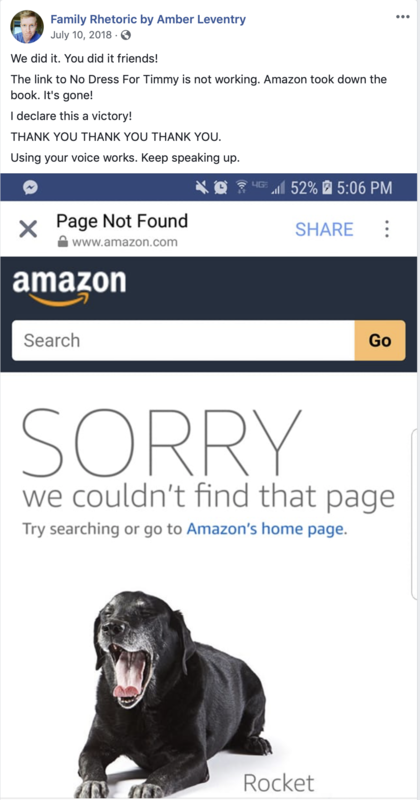 It’s not listed on Amazon today.